No conversation is off limits: Love , Life, Faith, Trauma, Triumph and beyond. 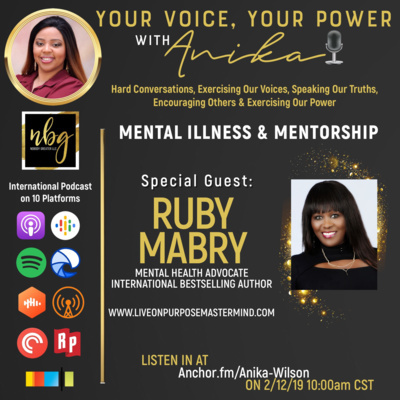 Ruby Mabry is Mental Health Advocate & International Best Selling Author "Helping women see the beauty in themselves and break the barriers society has placed on us. 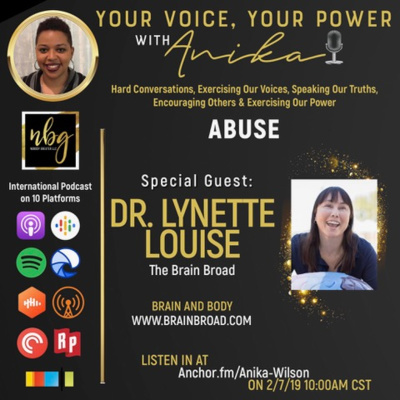 I am doing my part to share my story in my book series, Broken Chains in hopes to end the stigma and break the silence against mental health disorders. I want them to know they are not alone. I’m working on becoming a better me and accepting me the way that I am and want to teach them how to do the same. Mental wellness is very important and we need to talk more about it and end the stigma associated with it. My recent diagnosis prompted me to start the Loving Me, She, Her movement, which will focus on self-love, self-work, self-confidence, self-worth and body image." 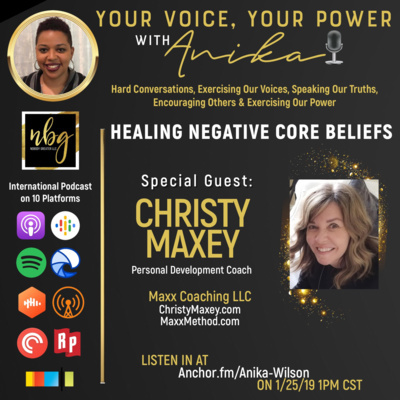 This Episode features Linda M. Clay, Business Coach and Life Style Strategist that uses her age to maximize your gifts in your business and beyond. Listen in to the tools she uses to fix your Life and Business one step at a time. 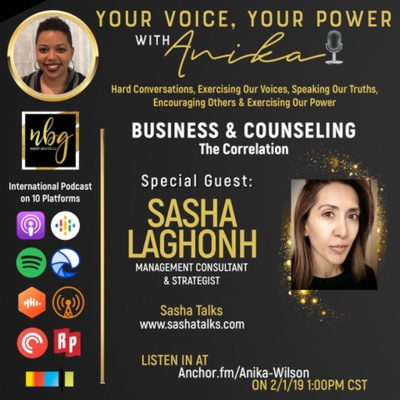 International Best Selling Author, Poised Speaker and Coach discusses her ability to transform women, to use their passion to reach their Purpose. The discussion taps on cultural awareness, corporate conformity and the use of failure to propel us forward. 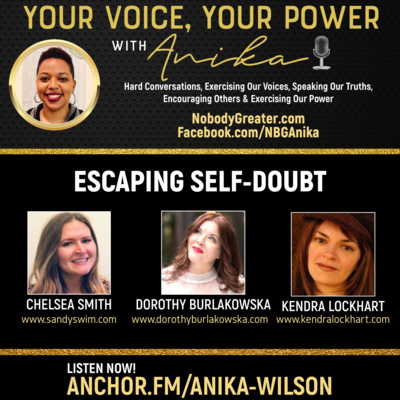 This Episode features three Entrepreneurs and Coaches discussing the importance of Boundaries, Self Care and Self Love..Self Discovery and the Holidays in a nut shell. We have tools that will help you navigate your future encounters. This episode features Beth Silver, the Owner of Doubet Consulting discusses the many facets of working with her agency, work-life balance and the importance of advocating for your clients. Small Business Marketing & PR, Educational Marketing, Being a Special Needs Parent and Resource, Business Problem Solver. 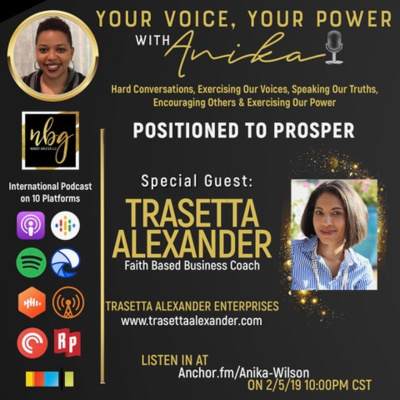 This episode features Katt Tracey of Katt Communications. This woman has blazed a trail starting a telecommunication organization from her experience and a divorce decree. 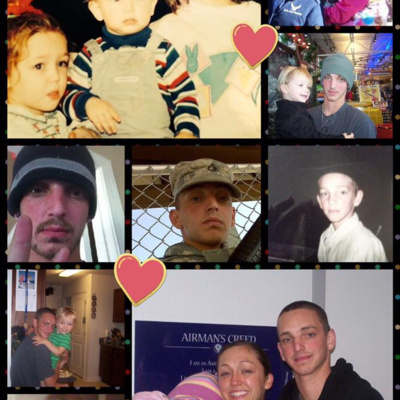 As a single mother, she has built and empire in a short period that serves more than she could ever imagine. 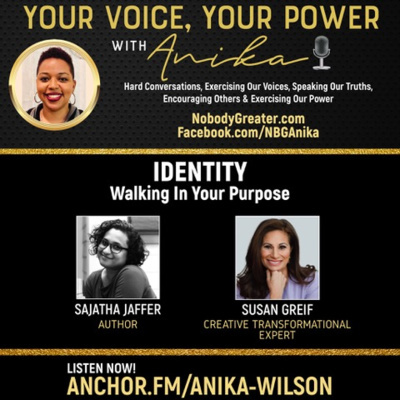 This episode features an amazing coach and upcoming Author if Life Reset-Nasira Jamal. 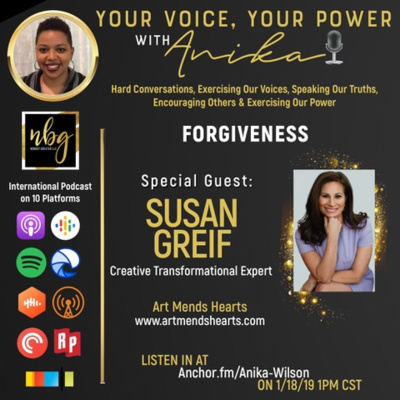 She has an amazing story yet walks with grace and perseverance and shares her secret "Law of Attraction" through her coaching and her book. Listen in! This episode features Jes Richardson, owner of Jes' Booty, wife, mother of 5 and Artisan, creating and amazing business from loss. 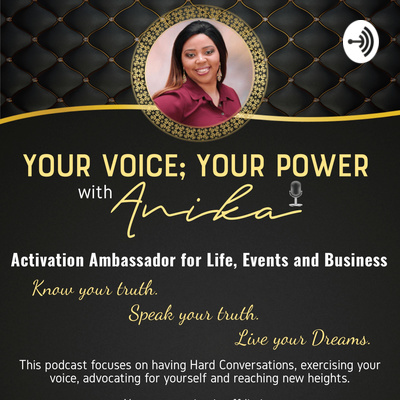 Share her vision through this episode that sheds light on some of the adversity that has shaped her journey. 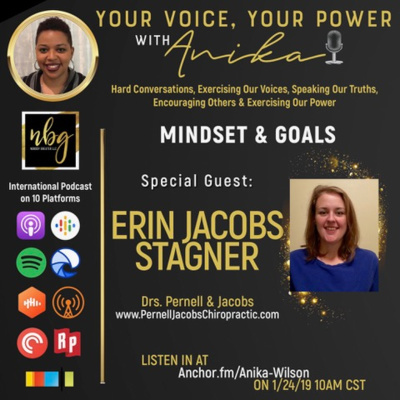 This episode features a woman that has overcome injury, and adversity to use fitness and life choices to revamp her mind and body turning it into an amazing custom made program designed to get you right. Lisa Peranzo is the Real Deal! 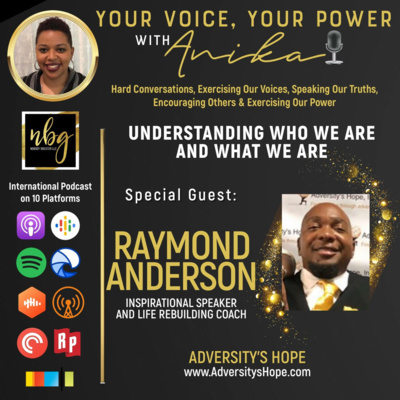 This Episode features Yolanda Brathwaite, author of Sister Code discusses her struggles with Renal Failure approaching her one year anniversary. Sister Code Volume 1 discusses women respecting each other. 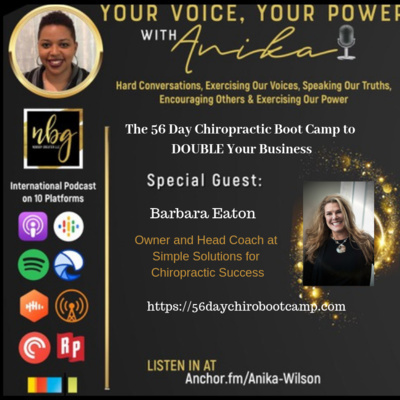 This episode features Dee Bowden-owner of BCS Solutions assisting CEO's in securing their accounts receiving, maintaining good revenue practices and securing Your Cash Flow. Tune in and learn about how to get your money! Stacey Lehn, a Health and Wellness Coach working with women creating a customized plan to combat the effects of Hashimotos. Stacey sheds light on the effects of Autoimmune diseases on trauma and women in general. Anika shares about recent surgery and life battling Fibromyalgia. 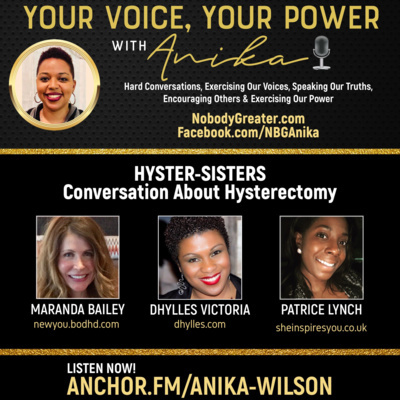 Dhylles Victoria, a Publicist and Media Story Coach shares her journey to owning her own business along with her recent surgery "hysterectomy" as she heals from the tumors that almost took her life. 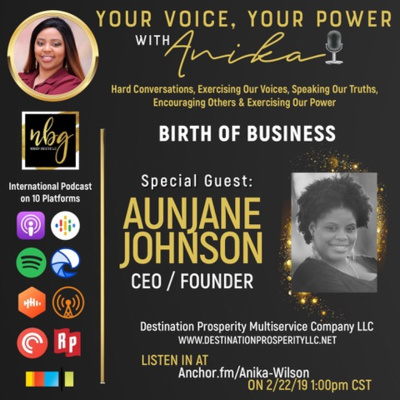 Anika shares in their healing journey together discussing the freedom of authenticity and transparency in business and life, intertwining them to be a FORCE. This episode is bigger than Suzy Tamasy's style, boutique and designs. This woman has dedicated her decades or experience with fashion, jewelry and style to use her proceeds to help women in shelters, organize a trust fund while wearing her cape as a single mother. Sheila Pullum is with Financial Education Services and can shed light on how to get in business, fix your credit, have freedom and security. Sheila has insight into life, liberty and freedom that impacts many. 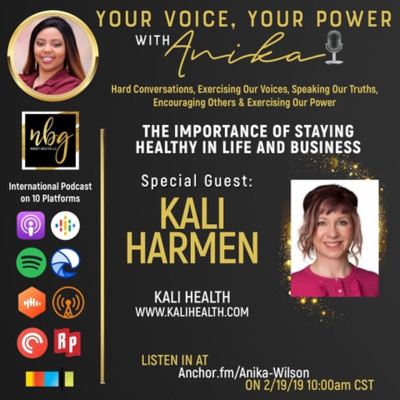 Listen to her amazing story here! 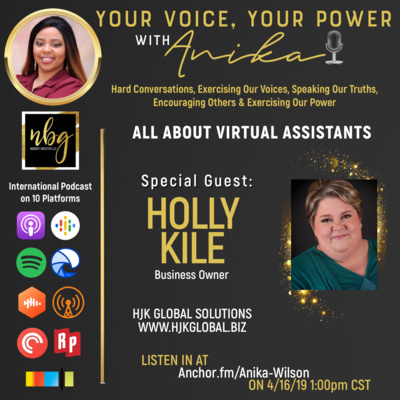 This episode features that Amazing Nodgela Thompson, a Serial Entrepreneur, wife and mother in the wonderful state of Louisiana, setting professional, global trends rising to the top. MindShift from Circumstance to Tool Box. This Podcast is truly Amazing as it is a conversation about Coaching, Marriage, Single Parenting, Adversity and true Transformation. 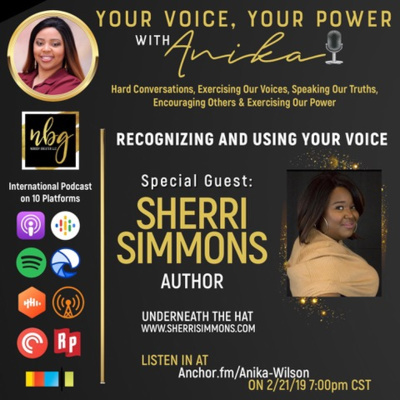 The guest SheNesia Ewing is an amazing Transition Coach that breaks down what she does, how she does it and why EVERYONE needs a Coach, with sprinkles and whip cream on top! This episode features Randi Bryant, a cancer survivor that makes custom made jewelry from sterling, copper, buttons and natural stones. She has overcome cancer and uses her jewelry to spread joy to groups, individuals and children everywhere. A woman that launched a boutique for beauty accessories to enhance women's outer beauty to reflect the inner. Natacha Degazon, owner of Bizo-T shares what inspired her to open her boutique and the role of a beautiful woman. Laquita Hogan owner of First Step Tax Service sheds light on what we all need to know! Episode sheds light on taxes, credit, community and breaking generational curses. The importance of Credit Repair, Proper tax preparation and having the right education of such. This Episode is about a woman that has used her journey to Coach other Women into Independence from MLM's and 9-5's. learning how to find your Power. This led to an amazing conversation about business, relationships and Empowerment. 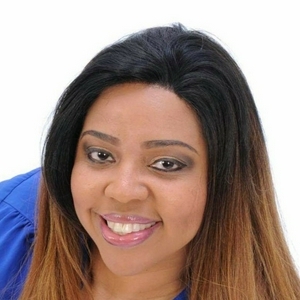 Erica Dias is a woman with vision, that has a business, a brand and a book. 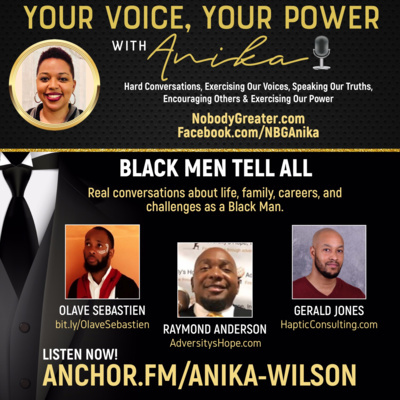 The B Firm PR is a great asset to people because of the impact of a Woman on a Mission....Tune in and listen. This episode features Lien Potgieter, a Business Coach and more that specializing is the Colour Option of life. Utilizing strategies to advance personal development while building a healthier YOU! Whitney Simmons is a model, Co-host of a Houston radio show and model with on a mission to have equality in all shades of skin, defying Colorism and profiling. A beautiful woman with a beautiful spirit. This episode features Karey Martin, Kitchen Coach that transforms your life through education, planning and implementation of your Kitchen Life. We all need help in this area no matter who you are! Balancing life, health and food and important. Tune into to what Karey has to offer. 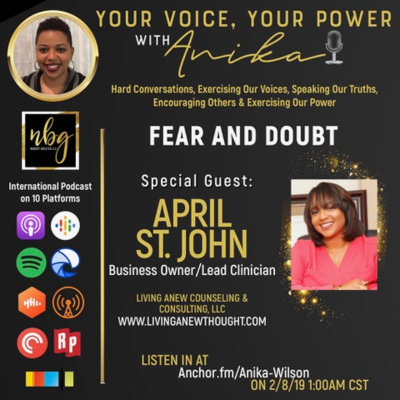 This Episode features that Amazing Sherry Tinnin, MA, a woman on a mission to help other women live fearlessly after 50. Rise Consulting, LLC Listen for her Amazing story. 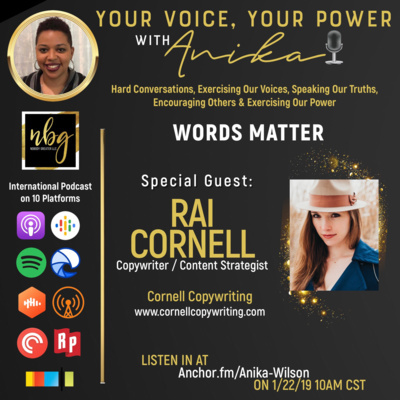 This episode features two amazing Womenpreneurs: Kristie Klavinger a print and marketing genius and Karen Mayfield, a women with many hats, online dating, animal rescue and more.... that brought so much light to the topics of print and Marketing along with Purpose and Passion. Karen rescues in every sense of the word. Get plugged into these women. 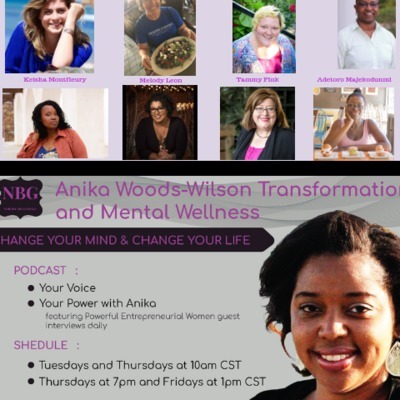 This episode features 2 Amazing Women that have launched their own therapy practices in Europe. You must listen and learn more about you options and paths to healing. Especially for women 40 +. 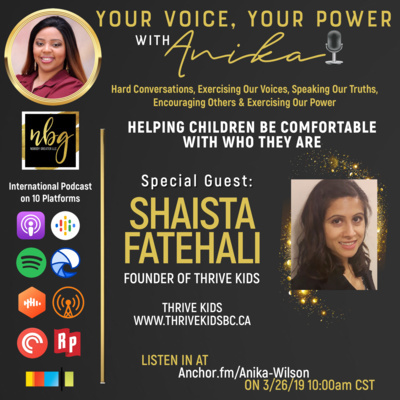 This Episode features amazing women from across the globe...AGAIN Vinita Ramtri from London a business woman and Author Stephanie Michelle with style from Texas and Delilah Cordova bringing it home with Marketing from NC. This is more power for your ears! This episode features 3 Women from across the globe: Nasira Jamal-Canada; Menaca Joji-London and Justine Garcia-California. The stories that you will here today are more than amazing, inspirational and may bring tears. Be ready to share these journeys and be inspired. This episode features 6 Amazing Women: Quotina Floyd, Tequila Dodard, Amy Demarzo, Whitney Simmons, Stephanie White, Monica Uribe. 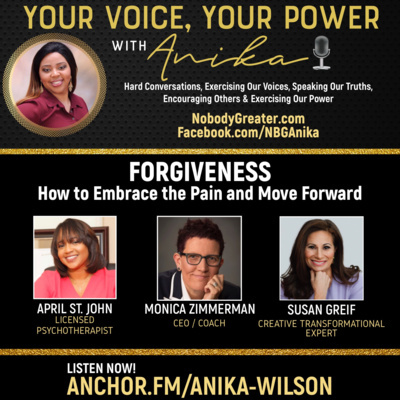 The conversation includes the importance of utilizing your pain for Power and validating your gifts! Learn about each woman's journey in formulating their businesses and why they are the best at what they do! 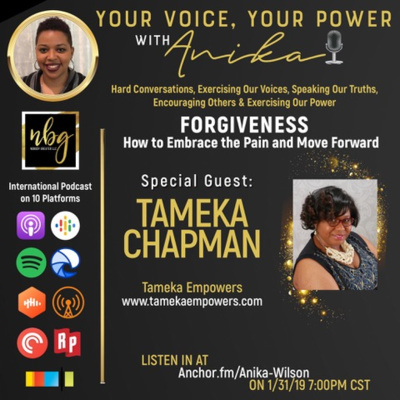 The very first Introduction of Your Voice; Your Power by Anika Today's Guests are Adetoro Majekodunmi, Dee Bowden, Tammy Fink, Randi Bryant, Sara Lasker, Fanny Myth, Keisha Montfleury and Melody Leon. The wealth of information available on this site is unbelievable. Don't miss our first Podcast streaming live today. Tune in later for the first Group Panel of Female Entrepreneurs telling the secrets to Ambition.